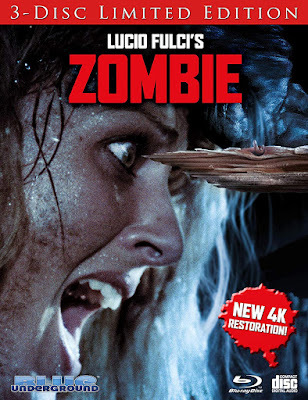 THE B-MOVIE NEWS VAULT: Lucio Fulcie's ZOMBIE Lurches Onto a New 3-Disc Limited Edition Blu-ray from Blue Underground! Lucio Fulcie's ZOMBIE Lurches Onto a New 3-Disc Limited Edition Blu-ray from Blue Underground! SEE FULCI'S "ZOMBIE" AS YOU'VE NEVER SEEN IT BEFORE - NEWLY REMASTERED IN 4K WITH TONS OF EXTRAS AND A SOUNDTRACK CD! Synopsis: In Italy, it was considered the 'unofficial sequel' to DAWN OF THE DEAD. In England, it was known as Zombie Flesh Eaters and banned as obscene. In America, it was called ZOMBIE and advertised with the depraved tag line "WE ARE GOING TO EAT YOU!" Tisa Farrow (THE GRIM REAPER), Ian McCulloch (CONTAMINATION), Al Cliver (CANNIBALS), and Richard Johnson (THE HAUNTING) star in this worldwide splatter sensation directed by 'Maestro of Gore' Lucio Fulci (CITY OF THE LIVING DEAD, HOUSE BY THE CEMETERY, THE BEYOND) that remains one of the most eye-skewering, skin-ripping, gore-gushingly graphic horror hits of all time! Audio - English & Italian: DTS-HD Master Audio and DTS-HD Master Audio 7.1! 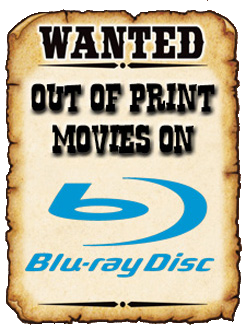 FULLY UNCUT presentation of the film! NEW! Audio Commentary with Troy Howarth, author of Splintered Visions: Lucio Fulci and His Films! NEW! When The Earth Spits Out The Dead - Interview with Stephen Thrower, author of Beyond Terror: The Films of Lucio Fulci! Audio Commentary with star Ian McCulloch and Diabolik Magazine editor Jason J. Slater! 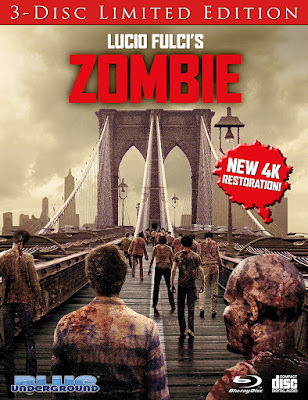 Zombie Wasteland – Interviews with stars Ian McCulloch, Richard Johnson & Al Cliver, and actor/stuntman Ottaviano Dell'Acqua. Flesh Eaters on Film – Interview with co-producer Fabrizio De Angelis. Deadtime Stories – Interviews with co-Writers Elisa Briganti and (Uncredited) Dardano Sacchetti. World of the Dead – Interviews with cinematographer Sergio Salvati and production & costume designer Walter Patriarca. 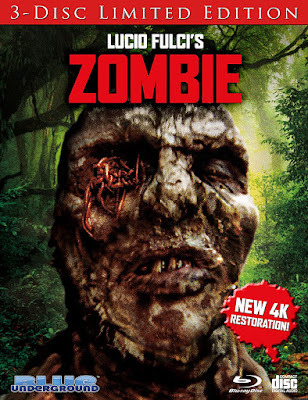 Zombi Italiano – Interviews with special make-op effects artists Gianetto De Rossi & Maurizio Trani and special effects artist Gino De Rossi. Notes on a Headstone – Interview with composer Fabio Frizzi. All in the Family – Interview with Antonella Fulci. Zombie Lover – Award-winning filmmaker Guillermo del Toro talks about one of his favorite films. ZOMBIE Original Motion Picture Soundtrack by Fabio Frizzi! Illustrated collectable booklet with new essay by author Stephen Thrower!